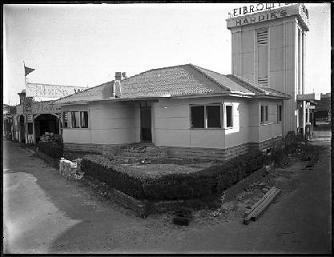 Tom Benson, who had worked at Port Adelaide and later been diagnosed with asbestosis, made the first common law claim against James Hardie in 1975. The Sydney law firm Turner James Hardie had quit its manufacture of asbestos products in the early 1980s and attempted to leave its asbestos past behind. This attempt eventually failed, although its financial settlements with its former workers were for many years resolved outside the public arena of the law courts, keeping the company out of the public spotlight while it attempted to re-make its image.The first negligence verdict against James Hardie came in 1991. It was won by Slater & Gordon in the Rafferty case in NSW.Freeman ran its first asbestos claim in NSW in 1982, but it was not until the late 1980s and early 1990s that the major court battles were engaged. Turner Freeman successfully prosecuted the first product liability claim in Australia against James Hardie in 1987. Many other court victories followed, especially in the area of product liability. By the beginning of this century the battleground has moved to the health damage caused by ‘third wave’ asbestos exposure in the home – what one lawyer called ‘the urban nightmare’. James Hardie then relocated its company off-shore in Holland leaving behind the compensation fund, which was found to have a massive financial shortfall. The subsequent judicial inquiry in NSW in 2004, the Jackson Inquiry, was critical of James Hardie’s actions and, after great public and government pressure, the company was forced to finalise a new compensation deal. The Carr government in NSW used Greg Combet as the lead negotiator with the company to secure the agreement but it took until 2007 for that agreement to be reached. In the end James Hardie guaranteed a fund of $4 billion to cover its future obligations to asbestos victims. Prosecutions of James Hardie board members and senior executive have followed. Throughout the saga, Bernie Banton was the public face of victims and was active in all the battles. Like so many victims of asbestos related disease, he died before his time. The legal struggle is still not completely over, however, as cases are still being fought out in courts. In 2006 the significant Hannell & Moss case was heard in the WA Supreme Court. Two Perth home handymen, David Hannell and Dennis Moss, both suffering from mesothelioma and represented by Slater & Gordon, took James Hardie to court for the lethal low-level exposure to asbestos in their homes. They won their case, the court agreeing that James Hardie owed home handymen a duty of care and knew, or ought to have known, of the lethal dangers of exposing them to asbestos products. The decision was overturned on appeal and eventually reached the High Court.